Hello! Our final challenge of 2016 begins today over on the Tiddly Inks Challenge Blog. We want to express joy for the holiday season with Very Merry Christmas cards and projects. My make for this challenge uses Minnie's Christmas Lights. I mean, how can you not feel the holiday spirit with this one! I colored Minnie with Copics and then die cut a panel using my stitched rectangle dies. For the outside sentiment, I used a coordinating stamp set and die which is layered several times and then heat embossed with blue pigment ink. 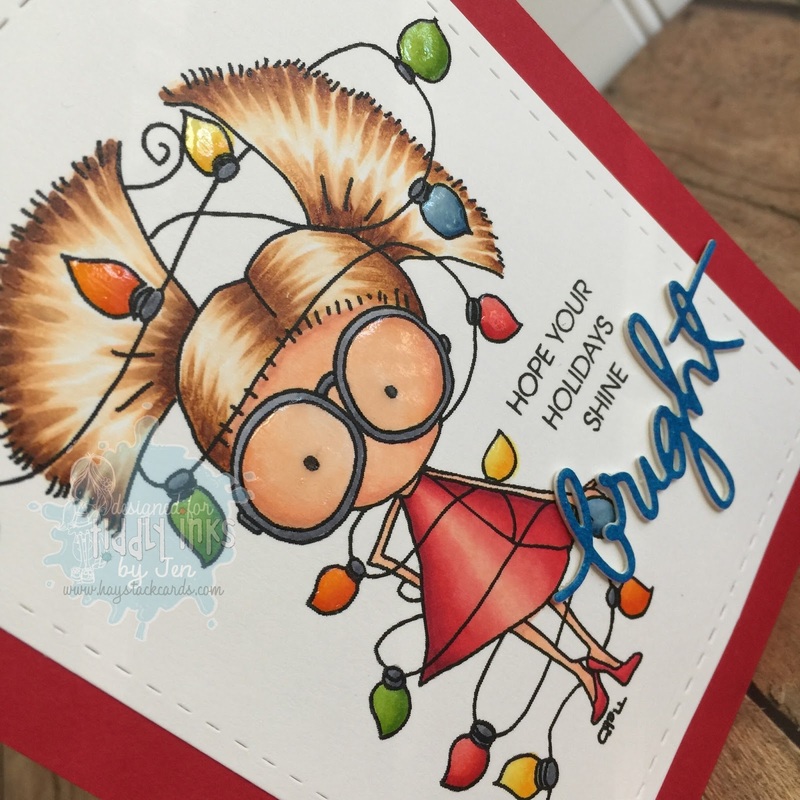 To finish off the card front, I added glossy accents to the light bulbs and to the glasses. Here is a look at the inside sentiment. 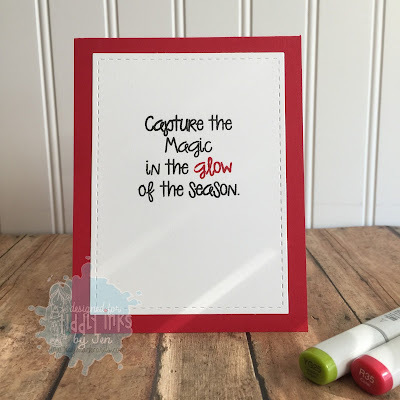 Using the MISTI made masking with two different inks easier. So as we wrap up 2016 and enjoy the holidays with family and friends, I hope you capture the magic in the glow of the season. Now it's your turn! Link up your Very Merry Christmas projects for a chance to win a $10 gift certificate to the Tiddly Inks shop. If you need more design team inspiration, you can also see what my teammates have been up to this week. They really got into the spirit!! So wonderful! I love how you did the sentiment...both inside and out! Merry Christmas to you and your family, Jen!